Short Review: The main selling point of the First Lieutenant gi (written military style as '1st Lt. Gi' on the website) is the unusual design of the trousers. Rather than the typical drawstring held up by loops, the Phalanx FC version looks more like jogging pants, with an elastic waistband. They also feature a modified gusset, high back waist and articulated knees to improve comfort. The brushed cotton material is thick and durable, meaning it is heftier than the increasingly common ripstop option. There is less innovation in the First Lieutenant jacket, a relatively straightforward 550gsm offering, featuring a large embroidered lion head, the Phalanx logo on both sleeves and dark grey contrast stitching. The gi can be bought here for a relatively expensive $149 (down from an excessive $189), or $55 for just the pants. Available in either black or white. Full Review: Over the last seven years, I've worn and reviewed lots of gis. In that time, numerous new companies have emerged, sending their designs to Pakistan and China to produce yet another gi with slightly different colours, logos and patches. That's potentially of interest if you enjoy fashion and have a wardrobe full of Shoyoroll, but I have never been a fan of trends or having lots of bling on my gi. That instead means I've always focused on other areas, like companies that give back to the community, offer especially low prices or are willing to innovate. Phalanx FC falls into that last category: they are not interested in simply repeating what everyone else does. With Phalanx, that innovation is centered around their approach to gi trousers, particularly the fastening system. If you’ve trained Brazilian Jiu-Jitsu for a while, you probably know the jacket and pants we roll in have barely evolved (especially the pants). 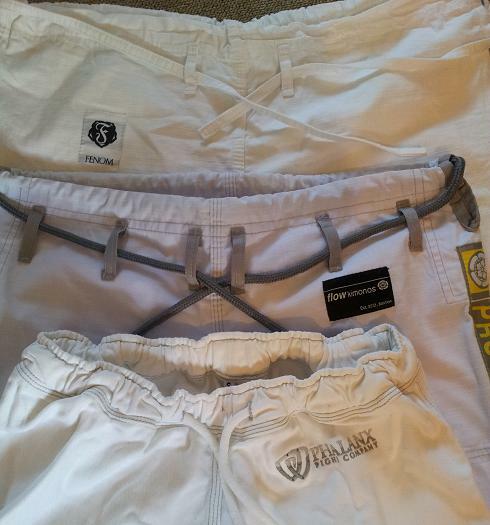 However, its no-gi counterpart, the grappling/fight shorts, have come a long way since simple cotton athletic shorts. I’ve always found that odd. There is plenty of room for improvement. So, I decided to improve the gi, mostly because I wanted something better to roll in, but I also welcomed the engineering challenge. I wanted something that maintained the general look of the traditional gi, but improved on the many flaws and pointless attributes while adding style. 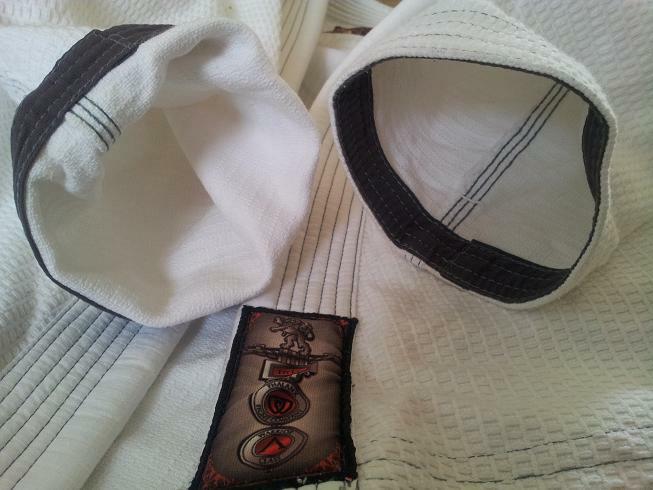 Martinez's day job is geology, a scientific background he states has enabled him to "develop advanced BJJ gear." He goes into further detail on exactly what that means in his technical overview, with a breakdown of the various trouser features. Rather than pulling a drawstring through a series of loops, Phalanx FC gi pants have a thick elastic waistband (the only other gi pants I've seen that use one is the Sprawl GiFlex). The drawstring emerges from that waistband, in order to secure the First Lieutenant trousers in place. That has the advantage of trousers which are already supported by the elastic with the drawstring just there to hold it in place. The elastic is tight enough that the trousers will sit on your hips without pulling the drawstring tight. Nevertheless, you will of course want to secure them by the drawstring, as your trousers are definitely going to be yanked around during the average class. However, it does make me wonder what would happen if either the drawstring or the elastic breaks. You can replace a drawstring in orthodox gi trousers with a flattened wire coathanger, but I'm not certain the same method would work with these. 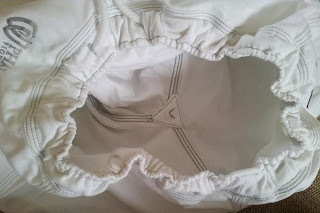 Then again, if it is just a drawstring sitting alongside the elastic, it should be possible to insert a replacement in one opening, then pull it around the waist to exit the other. Another shift is that the 1st Lt trousers have a high back waist. The idea is that if you bend over in the Phalanx gi pants, they won't slip down your backside. The reason Martinez gives in his description is that in jiu jitsu we are often bent at the hips, because our legs are bent most of the time. That is also why the Phalanx FC gi trousers have what Martinez calls an 'articulated knee', by which he means a knee which is sewn with a curve rather than straight. If the structure of the trousers already have an inbuilt bend, that is meant to make it more pleasant to wear when the material is bent further around your legs. 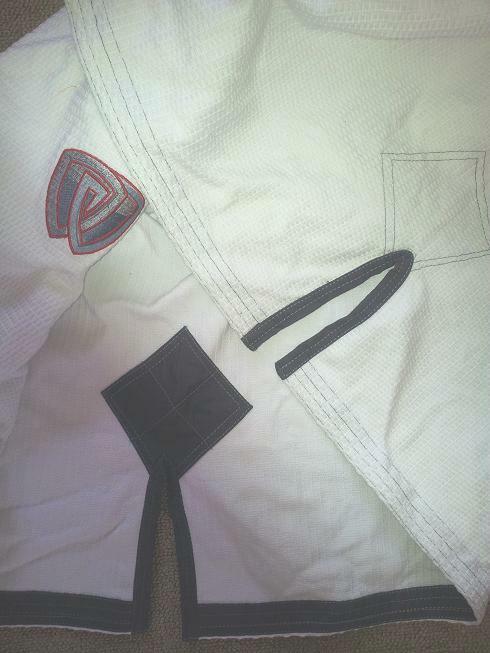 Finally, the gusset on the Phalanx gi pants is considerably larger than other gi trousers. 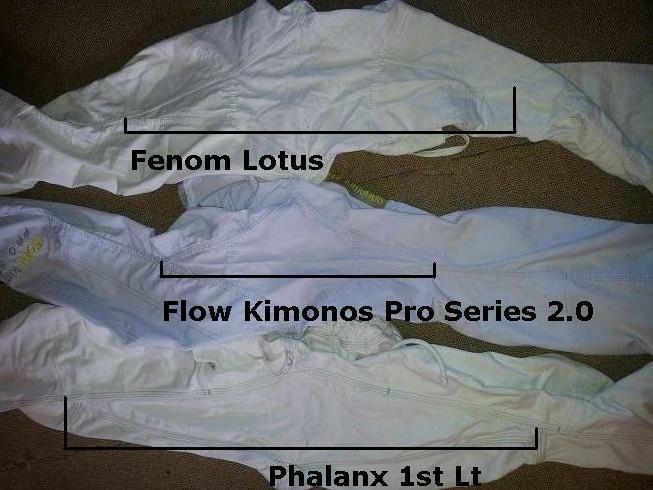 Comparing it to my Flow Pro Series 2.0 and Fenom Lotus trousers, the difference in length is obvious. Initially I thought that the Phalanx gusset also had extra reinforcements on the two main corners, but turning the other trousers inside-out, I could see that the Fenom pants had them too. The Flow did not, but presumably that was to save weight. The Phalanx FC trousers feel relatively heavy if you're used to ripstop. They're made of brushed cotton, which Google tells me just means the cotton has been scrubbed to remove excess lint and fibers. It's soft and the added thickness should also mean the Phalanx gi pants have increased durability. The extra material by the knee is in keeping with most other gi pants, in that this reinforcement does not extend all the way down the leg. That means that when you are sat on your heels, such as when in somebody's closed guard, the reinforcement only just covers the kneecap. According to the website, there is triple-stitching both inside and outside the gi pants. This generally looked good quality, though there was a frayed section inside one of the legs: I'm not sure if that was before or after washing, as I only noticed it after I had washed them three or four times. It may therefore have occurred either during training on in the washing machine (but as I only wash at 30 degrees celsius, I would guess the latter is unlikely). 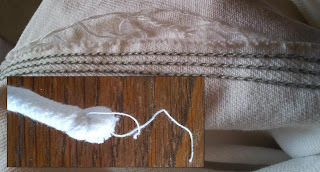 On a more trivial note, there are a few loose threads on the drawstring. 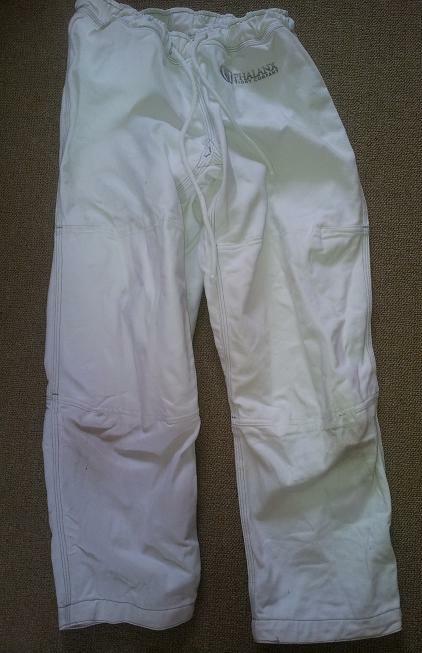 I could not confirm the Phalanx gi trousers being especially superior in terms of staying on my hips when compared to my normal gi trousers, though they were no worse either. Occasionally they felt like they were loosening, but because of that elastic they couldn't fall down even if they did loosen. Mostly that's just psychological, as like to feel that my trousers are tightly fastened. I slightly miss having the loops to put the drawstring through so it feels secure, but that's more than mitigated by the way the drawstring is tucked away in its own sheath. I much prefer that to the loops, because you don't end up with a huge bow that dangles down and gets caught. Kneeling on the floor was better padded, due to the thicker, softer material. The gusset meant I didn't experience any tightening of the fabric around my legs, which can occasionally happen with other trousers. The length of the First Lieutenant pants is perfect: not too short making them into pedal pushers, but not too long where you're tripping over it. I would rate these as around the same comfort level as my Kingz gi pants, which are the other gi trousers that have stood out in my seven years of training so far. The Phalanx FC website proudly proclaims that the 1st Lt gi trousers are made in the USA. I assume it must have been too expensive to also make the jacket in the States, as that has a label noting it is made in Pakistan, which along with China is where most of the gis I wear come from. Martinez does not undertake an intensive discussion of the jacket on his site: the Phalanx FC gi jacket largely follows the format of a typical BJJ gi jacket. Comparing the cut of the First Lieutenant jacket to four others, you can see there isn't an enormous difference. Possibly Martinez will in future be looking to make a similarly thorough exploration of improvements to the basic jacket template as in his examination of the trousers. The Phalanx FC gi jacket is 550gsm, making it heavy by modern standards (back in the day, a 'heavy' gi was often upwards of 900gsm, but times have changed). Like the trousers, the First Lieutenant jacket has dark grey contrast stitching, with some little touches like the black side vent reinforcements. The main bit of bling is the large red lion head on the front of the jacket. Inside you'll find an intricate printed illustration on the label, fitting with the Ancient Greek military theme, while on the bottom of the label there's a Roman style symbol (looking like the familiar Roman standards emblazoned with SPQR). That continues in the rest of the Phalanx range, with products called things like 'Hoplite', although there are also the less Ancient Greek 'Icon' and 'Alloy' rash guards. My training partner Dónal mentioned that he found the collars hard to grip. These are lined with ripstop, as are the side vents: it is also used for the tape lining the bottom, along with the trouser and sleeve cuffs. As ever there are reinforcements in all the usual places, such as the armpits and side vents. The jacket is quite coarse and feels tough, but that doesn't translate to a lot of abrasion on the inside. There is an official size chart with a variety of measurements, though it does emphasise that those figures are an approximation. When I measured my A1 1st Lt, it was 79cm from the shoulder to the bottom of the jacket and 150cm from cuff to cuff, while the trousers were 94cm long. The jacket is pre-shrunk, so there wasn't much shrinkage after several washes at 30 degrees celsius then air-drying. The cuff to cuff wingspan reduced to 147cm, the shoulder to hem went to 76cm while the trousers stayed fairly steady at 93cm. If your jacket does shrink a lot, then from what I was told by a training partner in the US, the customer service at Phalanx is very good. When I visited the Fabio Santos academy in June, a gentleman roughly my size was also wearing a Phalanx 1st Lt (but in black). He said that he initially went with the A1 but it shrunk too much for him to wear. He mentioned this to Martinez at Phalanx, who immediately sent him a replacement A2 First Lieutenant gi jacket. Originally Phalanx was charging a hefty $189 for the gi, but that has since dropped to $149. Interestingly, there is no variation in price between the white and black: normally white is slightly cheaper. $149 still strikes me as a little expensive, but then I am used to gis more in the $100 range. There is also the option of just buying the trousers: those are available here for $55. 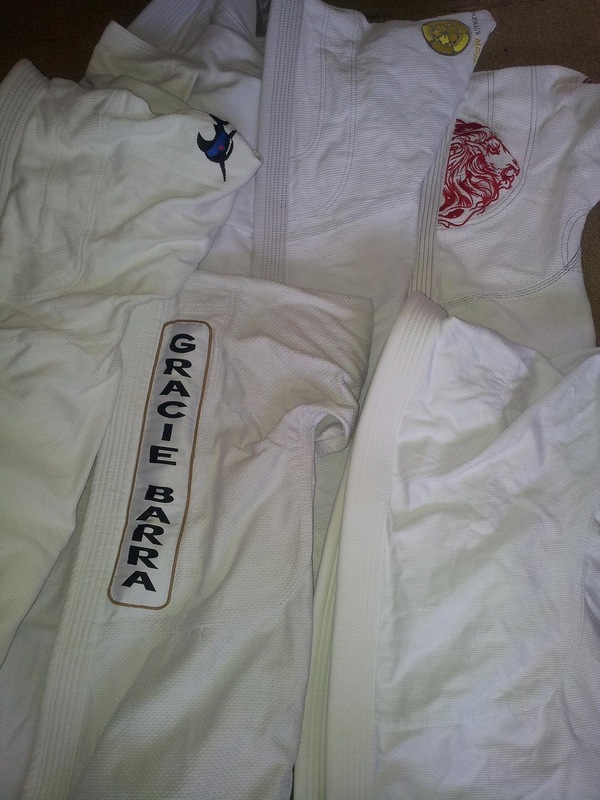 So with 19 reviews now, if you could only own one gi which would it be? Out of the ones I own at the moment, the Gimono is my favourite: light, portable, comfortable. However, it's also very expensive, so if I hadn't been sent it for review I wouldn't have been able to afford it. In terms of affordable US gis, Fenom (which I haven't reviewed yet, though I did review one of their rashguards). Affordable UK gis, the Tatami SubZero, especially as I don't have to bother removing any patches. The Tatami Nova is the one I always recommend to beginners as it's cheap and high quality, but personally I dislike shoulder patches (though they are easy enough to remove).